When it comes to backing up your data whether on a network, local storage or on Cloud, we are not actively concerned. But its only when the destruction strikes, we wake up from that lazy zone, but its already too late. May be it was the complexity of such Data replication or synchronization tools, but not anymore. 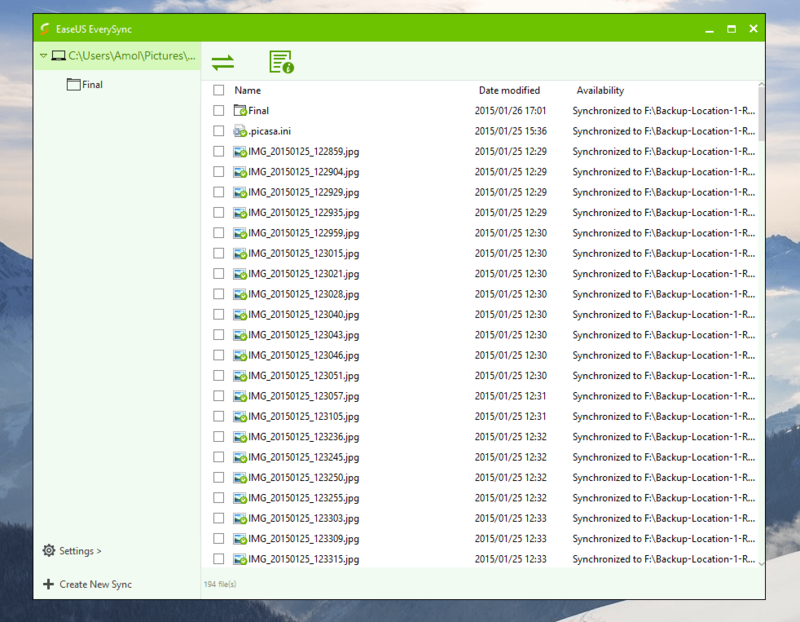 Today, I am going to review this latest file sync software by EaseUS called EverySync 2.1! For the purpose of this review, I used EverySync tool for local network setup at my office, and tried setting data replication or backup with one networked location and on external storage for additional backup. From the very first introduction window, this backup tool will easily get your syncing work done under few seconds. Just choose from which location you want your favourite images, videos or documents to back up and the location where you want to sync this backup. Once you click on the Start Sync, it will do the magic for you with just few minutes, Just like the following screenshot. If you want to setup few more location just click on the Create new syn window from the left-bottom corner, and you are good to go. You can select from local/network storage, removable storage or a cloud location just like this. 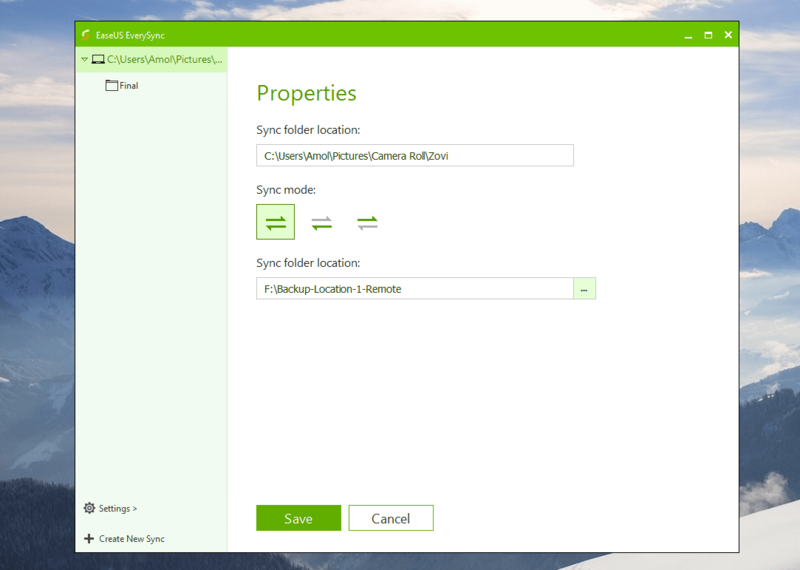 Additionally, you can sync manually from one place to another or mutual syncing between both folders altogether. You have to click on properties Icon on top sidebar, for every sync you setup. 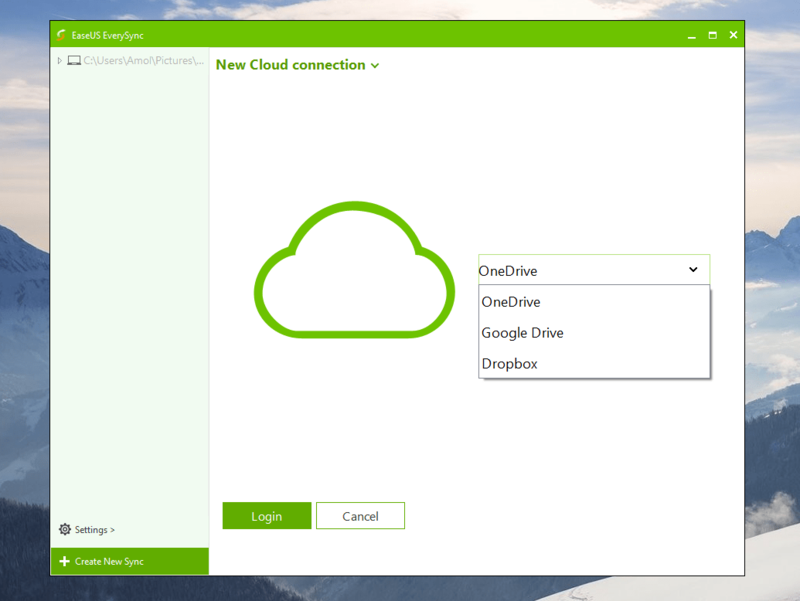 After this, you can also try using the cloud sync option like I did. Choose your favourite service, and insert the authentication details with the sec ured interface, and you are good to go. It was an ease setting up the file sync locations with local storage, network share, FTP Server, removable device and also with the popular cloud storage services like OneDrive, Google Drive, Dropbox. These automated cloud backups can be extremely useful for business users or even a normal users. 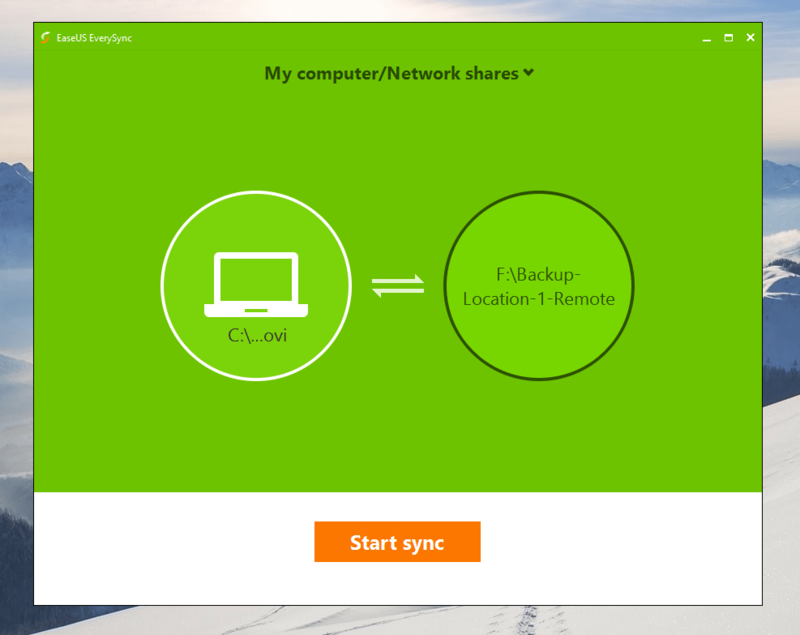 And considering how easy it was to set up, I was more than impressed with EaseUs EverySync 2.1! Like I said in the beginning of this article, this backup tool brings a great ease, availing extremely simple to use interface that any first time user can setup. There is no complexity involved in the process, and you can setup local, network and even cloud data replication within few seconds. For its cost of $39.95, the product is highly worth its price & I will recommend it for anyone, who cares for their data. You can also take advantage of its current promotion and download it for just $29.99 (that’s $10 flat off), for limited time to keep it within your budget.For multiple devices, or business users, there are additional discounts you can check out at this page. – Download EaseUS Software. Note- You can also download a free trial, if you want to just try before you chose to buy it. Do share this article, if you think it was informative and helped you in any way. If you have any concerns, questions or issues about this article, testing or the back up tool, please write me in comments section below, and I will make sure to reply. You can also reach out to me faster on twitter, just give a shoutout at @amolwagh! Is there an option to limit bandwidth when synchronizing? Nope, there isn’t. You can turn sync ON and OFF from quick launch easily with the toggle, but no there is no way to control the bandwidth.